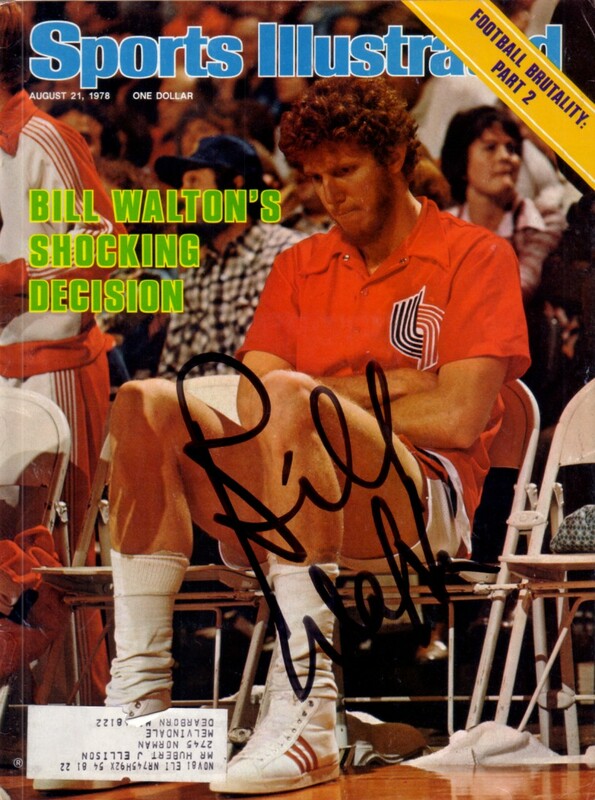 Complete August 21, 1978 issue of Sports Illustrated autographed in thick black marker by former Portland Trail Blazers superstar center Bill Walton. 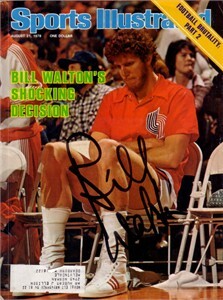 Has subscription label and very minor flaws/wear, in excellent condition for its age. With certificate of authenticity from AutographsForSale.com. ONLY ONE AVAILABLE FOR SALE.